CALGARY, AB – Wild Rose Brewery has announced the impending release of a new mixed pack featuring three different IPA variations. The Bitter Truth six pack will include two bottles each of Wild Rose IPA, White Shadow White IPA and 42 Session IPA. 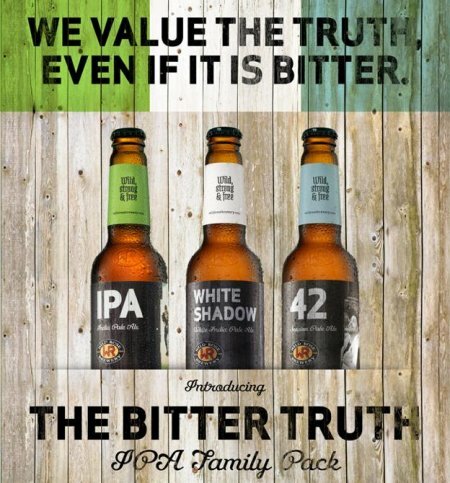 The first is part of the brewery’s core brand line-up, while the others were originally released as seasonal brands last summer and earlier this year respectively. The Bitter Truth sampler will be available soon at the Wild Rose retail store and select liquor stores in Alberta.